Getting started… now what? I wanted to address this because there are both some new members just embarking on their path and also some veterans returning to their path and who are experiencing difficulty getting started or resuming their practice. I have heard, “OK, I have read tons of books and dabbled, but I am not sure I know what I’m doing or how to get started”. Fair enough. We have all had to start at the beginning. We have all had some doubt, confusion, and fear regarding the craft. Some have a feeling they might do something wrong or cause their own practice or spiritual space to go all out of whack. Relax; you won’t. Remember old sayings like, “Practice makes perfect”, or “trial and error” or “You have to walk before you can run”. One of the first things in magick that sometimes is overlooked is attitude. You’ve read a few books, listened to the local witch shop owner impart their knowledge of the craft, taken , and maybe attended seminars… but have you really heard people stress the subject of attitude. You may have heard, “magick without ego”. OK, what does that mean? e·go: [ee-goh, eg-oh] noun, plural e·gos. 2. Psychoanalysis: the part of apparatus that experiences and reacts to the outside world and thus mediates between the primitive drives of the id and the demands of the social and physical environment. 3. egotism: conceit; self-importance: Her ego becomes more unbearable each day. 4. self-esteem or self-image: feelings: Your criticism wounded his ego. 5. (Often initial capital letter) Philosophy: a. the enduring and conscious element that knows experience; b. Scholasticism: the complete person comprising both body and soul. So you try and remove ego; seems difficult or might seem contrary to some parts of the definition. Be positive. Have no doubt. Be confident, right? I believe that magick without ego is a process where one is able to understand and feel a connection between each person, animal, nature and realize that removing the “I” isn’t simply taking your “self” out of the equations, but rather understanding the connection between all things created by a divinity (whatever it happens to be, or however you chose to name it) . Magick is a state of mind, a lifestyle, and a true journey. It’s a journey of oneself… not of the ego “self”, but a maturation into different levels of understanding and connections. Magick is not only learning spells and invocations, and acquiring altar tools. Magick comes from within you; it’s learning about you. No one can teach you that. You may be able to learn mediation, divination, and be guided certain in steps and procedures, but the true magick is in you. The task at hand then becomes how to unlock this gift, this ability, and this treasure. Coming together with nature, the seasons, and your God and Goddess, it is up to you to hear the call, feel the pulse, and see the colors. The first thing is reflection. Have yourself in order, no distractions, and holding a deep desire. Notice I didn’t say a ‘true desire’. Desire is a wanting, needing, a lusting. So how do you know what is it true or untrue? I tend to shy away from people who tell me what I have to do or not to do to be an accomplished witch. Your journey along your path is yours and yours alone. I mentioned before you need to get yourself in order. I feel is important, but it may take a long time. There is no set deadline. I mentioned no distractions; well in this day and age, how is that done? Kids, wife, husband, boyfriend, girlfriend, jobs, money… ugh, the list goes on and on, right? If you try to keep your journey’s path lit and do not allow the flame of desire to go out then you’re not distracted: All things in due time and moderation. We all can’t all raise and cast in the AM or PM. we sometimes become overwhelmed with the trappings of every day life. I am guilty of that myself at times. Try to have reminders around you of the magick that you have discovered or are striving to discover, things that in an instant remind you of your magickal goals. The desire to learn and become something is not without doubt, mistakes, or pain. Magick isn’t about the next step in a series of books or classes or altar tools. It’s about heart and soul. Take a chance, listen to everyone and listen to no one. Discover yourself and discover magick, not from a book or when some teacher of a class tells you that you have attained another degree. You alone know when you’re ready to move on in your education, lifestyle, and connections. Magick has no timeline. There is never a final project that must be turned in to get credit. The God and Goddess have always been there and will continue to be there unless they decide otherwise. The journey you take, the path you have put yourself on may take a lifetime or for some, that understanding and connection may come sooner. It doesn’t mean you’re doing something wrong, or that anyone is ‘better’ than you. It means that they may have been on their journeys longer than you have. Their paths may not be as confusing as your own or have as many twists and turns. Do you think Gerald Gardner, Laurie Cabot, Dorothy Morrison, Z. Budapest, or even Aleister Crowley are any better or different than you? They’re not. They heard a voice once, too. They noticed an irregularity. They felt different and confused. They took a step and began their journey like the rest of us. They stayed true to themselves in order to find the understanding, make the connections and become who they are/were. 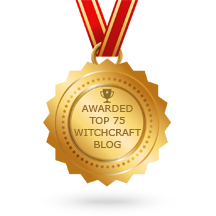 If you think it’s not within your capability to become an accomplished witch, an innovator, or even start/discover a new tradition, you’re wrong. All the best on your journey! Remember… to know… to dare… to do… and to keep silent. Posted on February 20, 2013 by ladyoftheabyssPosted in ArticlesTagged Aleister Crowley, Dorothy Morrison, Esoteric and Occult, Gerald Gardner, God, Laurie Cabot, Magick, Religion and Spirituality. One of the sovereign touchstones of Wicca, one which is rarely disputed or quibbled over – whatever other differences may exist between camps – is the Charge of the Goddess. Along with the Rede and the Law of Threefold Return, it is as close as Wicca comes to a universal sacred text. We are not a “revealed” religion, in that we do not adhere to a sacred text or texts said to have been dictated to the faithful by the reigning Deity of the religion. However, we do recognize the phenomenon of Drawing Down, or invoking Deity into a willing and receptive individual, that Deity might more intimately manifest and participate in our rites, and speak through the chosen vessel, if Deity is so moved. If we believe in this, then it follows – in my mind at least – that Deity may choose, at times, to communicate certain Truths spontaneously through members of the faith (or simply through the average Joe, as I believe occurred in the case of Bill Wilson and the basic texts of Alcoholics Anonymous). So I, for one, believe that the Charge of the Goddess is in fact the word of the Goddess, transmitted through the willing and capable instrument of Ms. Valiente, and it deserves careful consideration by those dedicated to this path. As I do every so often, I am currently overhauling and “buffing up” my routine of prayer and meditation. The practice of a “lovingkindness” meditation has once again been brought to my attention, and I have re-instituted that as part of my meditative practice. But this time around, something rather marvelous has happened. Now, it might seem a bit of a “Duh!” to some of you, but to me it was one of those things that was hiding in plain sight for a long time, and only today was it made clear to me. As with so much of the Buddhist canon – simple, elegant and powerful. 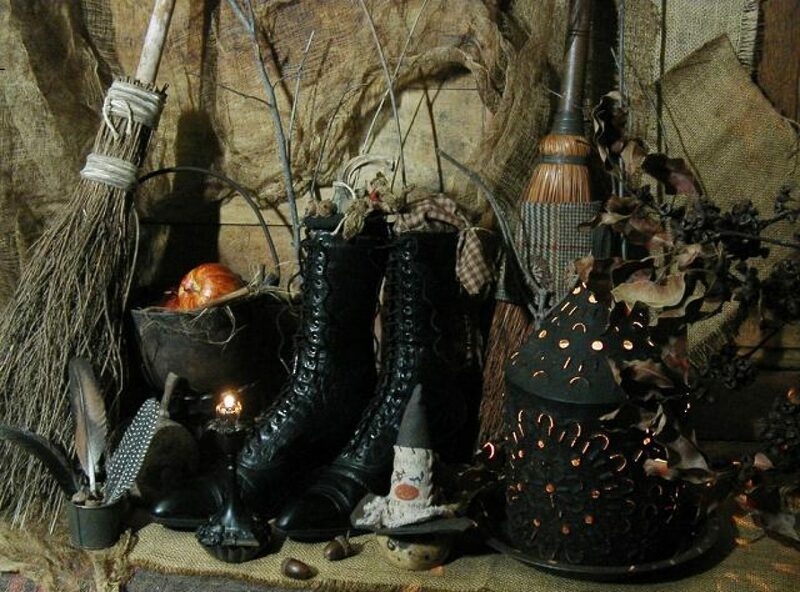 When I incorporate techniques from other paths into my (nominally Wiccan) practice of the Craft, I always try to amend them in some way, to make them more relevant to my experience as a Witch or Warlock. So as I drove to work today, I cast my mind into the aether, searching for virtues and gifts that I might use in my lovingkindness meditation that were a bit more, well, Crafty. As soon as I got the old Subaru back on the road, I had to try it out, whispering to myself: “May I be beautiful and strong, powerful and compassionate, honorable and humble, mirthful and reverent…” Wowzers! I got the chills. Needless to say, I had found the “Crafty” terms for my lovingkindness meditation that I was seeking. But in considering those virtues and gifts for the remainder of my commute, I realized that I had also opened a door to a broader possibility. One of the things I have always admired about Asatru is the “Nine Noble Virtues,” a list of values that one may use as touchstones for living an exemplary life. Many folks I know in the Craft have adopted them, or a version of them (much to the annoyance of certain Asatruar), but I have always thought that we should have “our own,” (although there is certainly nothing wrong with nor lacking in the NNV as they stand). It struck me this morning, of course, that the blessings wished upon us by the Goddess in Her Charge were a perfect source for the “Virtues of the Craft!” They may not be a comprehensive list of values that one needs to live, love and thrive in one’s life, but they are obviously points worthy of focus, consideration and cultivation, or the Goddess wouldn’t have mentioned them! Beauty: Not necessarily physical beauty, of course, but the appreciation and expression of balance, wholeness and harmony. Accepting each moment for what it is, and realizing the inherent beauty in the interplay of light and dark, pleasure and pain, life and death. In the individual, embracing and expressing the beauty and authenticity of one’s True Self and True Will. Strength: Not merely physical strength or even “energetic” strength, such as chi or ond, but also strength of Will, belief, conviction and ethics. The strength to do and say the right thing, even in the face of severe consequences. The strength to be gentle, loving and calm in the face of tragedy, fear and aggression. Power: A little out of order, as far as I’m concerned, because to me power is the synthesis and interplay of all the other virtues. But we’ll leave it where the Goddess put it! Compassion: True and mature love for oneself and others, including our non-human brothers and sisters and the “inanimate” manifestations of Gaea. The deep sharing of another’s pain, the desire to relieve it and the willingness to put that desire into action. Mirth: “Rule 62: Don’t take yourself so seriously.” Mirth isn’t just about getting a case of “the giggles” in the middle of a ritual, nor about singing bawdy filksongs around a festival fire (although these are certainly aspects of mirth). Mirth is about finding and joining in the sheer joy of living, of laughing out loud at the way trees dance in the wind or guffawing at oneself when you realize you have just invoked “the Grateful Dead” instead of “the Mighty Dead.” It’s about realizing that The Joke is on everybody, not just on you, and that it’s a wonderful, blissful, eternal Joke, not a nasty one. Reverence: Love, awe, respect and veneration for Life, the Gods and ourselves. Gratitude for all the gifts we have been given, and the heartfelt willingness to pass those gifts on to others. These then, are my nominees for the “Eight Virtues of the Craft;” the short list, if you will. There are obviously other virtues and values that are important in living a decent and fulfilling life in the service of the Lord and Lady, but I can’t help but think, once again, that She wouldn’t have pointed these particular virtues out if She didn’t want us to consider them carefully. I shall be doing that very thing in the days to come. May you always be beautiful and strong, powerful and compassionate, honorable and humble, mirthful and reverent. Posted on February 20, 2013 by ladyoftheabyssPosted in ArticlesTagged Asatru, Craft, Deity, Heathenism, Mettā, Rede, Religion and Spirituality, Wicca. I was young, I was a shiny new Pagan, the Internet – which made contacting my fellow religionists as easy as calling my mom – was about ten years away from being invented, and by gosh I was going to perform this solitary sabbat exactly as The Book told me to! (And no, I’m not going to tell you which “The Book” it was. It would only embarrass me further and wouldn’t do the now-deceased author’s reputation any good. Okay, okay I’ll give you a hint somewhere below) : By the time I’d finished my ritual, I’d nearly burned the house down – a house that included my dog, four cats, and my born again Christian (now ex) husband. The Book said I needed a cauldron for this ritual, so I found a really cute brass one at Pier One – it even had soldered-on brass feet which I thought was particularly important – it’d be up off the hideous pumpkin orange shag carpet in my den because Gods forbid I scorch the hideous pumpkin orange shag carpet. The Book said to pour about an inch and a half of rubbing alcohol into the cauldron. And light it. And, Gods help me and my now ex-husband who was sleeping – oblivious to the ritual and the fire – in the next room and the dog and the cats, I lit it. The Book didn’t say (or maybe I missed that part) that this ritual had been designed to be performed outside. Outside where, theoretically, a six-foot column of flame shooting out of a brass cauldron wouldn’t be quite so much of an issue. Naturally, The Book didn’t say anything about having a pot lid or sand nearby to smother the flames, so I had no way to douse the tall bonfire that was pretty much the same shade as the hideous pumpkin orange shag carpet. The Book also didn’t say that the cauldron would, ideally, be cast iron, and not soldered brass bits. Any intelligent, experienced ritualist could have told me that, but I didn’t know any other ritualists yet – intelligent or otherwise – so I was on my own. And it finally dawned on me that I was in big trouble when the solder attaching one of the cauldron legs melted from the heat, causing the pot to tip sideways. I now had about four feet of flame at about a forty to forty-five degree angle from the floor. I’m just damn lucky it didn’t tip so far that the alcohol poured out onto the aforementioned lovely orange shag carpet. As it was, some of the individual threads were a little black and crunchy if you examined them too closely. Him: And the carpet looks like it’s singed or something. Me: Really? I hadn’t noticed. I am not saying that being a solitary practitioner is a bad thing. Far from it, whether you choose to be so for personal or geographical reasons. I am saying, don’t leave your common sense in the back pocket of your other pants whenever you open a book of Pagan rituals or click on a Pagan how-to website. It’s not common sense to wear a short, sleeveless tunic at an outdoor ritual in January. In Wisconsin. It’s not common sense to fast if you have any sort of blood sugar issue. And it’s sure not common sense to try to set your den on fire just because The Book said to do something a certain way. If I’d been thinking, instead of slavishly following, I’d have had one heck of a less exciting evening – to my benefit. And yes, these are all examples of bad advice I’ve seen in books and online. If some faceless Pagan authority (me included) writes that you should do something and your gut tells you it’s a bad idea, listen to your gut. Better yet, go find someone who’s actually been in ritual with other people and ask them – and their friends. If, through Witchvox, you can’t find someone in your neighborhood, well, it’s better to go online and ask around rather than suffer frostbite – or burn your house down. Better yet, see if you can spend a few holidays in ritual with them, ask questions, learn how rituals are — and are not — supposed to go. I’m on a lot of online Pagan forums, and I can’t even begin to count how many posts go something like, “I tried this ritual with my friends last night and now I feel sick and I have the worst headache. What did I do wrong?” Well, did you ground and center beforehand? “No, the ritual didn’t say to.” Did you check to see if you might be allergic to whatever you burned as incense? “Um, no.” Did you eat anything beforehand? “Um, no.” Five minutes asking about these sorts of basics beforehand, either online or at a local Pagan meet up would stop most, if not all, of these sad posts. That there shall not by intent be a desecration of another’s symbols of beliefs, for we are all seeking harmony within the One. That each person’s faith is private unto themselves and that another’s belief is not to be set out and made public. Posted on February 20, 2013 by ladyoftheabyssPosted in Articles, Daily Posts, WiccaTagged Craft, Crone, God, Mother goddess, Pagan, Wicca, Wiccan views of divinity, Witchcraft. Mildred, the self-appointed arbiter of the community’s morals, kept sticking her nose into other people’s business. Several members were unappreciative of her activities, but they feared her enough to maintain their silence. She made a mistake, however, when she accused George, a new member, of being an alcoholic after she saw his pickup truck parked in front of the town’s only bar one afternoon. She commented to George and others that everyone seeing it there would know what he was doing. George, a man of few words, stared at her for a moment and just walked away. He didn’t explain, defend, or deny, he said nothing. Later that evening, George quietly parked his pickup in front of Mildred’s house… and left it there all night. Posted on February 20, 2013 by ladyoftheabyssPosted in Articles, Daily PostsTagged Dodge Ram, George, Indianapolis Metropolitan Police Department, Max Baucus, New York, Pickup truck, Trade Adjustment Assistance, United States. This ‘Love Your Pet Day’ is made for man’s best friends, and the best way to do that is to share some Pet Shui! One sure way to make your furry friends happy is to make sure that they’re always clean and smelling good. An easy way to affect that rewarding result is to place their bed (or cage, whatever the case may be) outside where fresh air and sunshine will infuse it with healthy and happy Chi. This will not only lift the spirits of your pet but will raise the entire vibe of the whole house as well! Posted on February 20, 2013 by ladyoftheabyssPosted in Daily Posts, I ChingTagged Astrology, Astrology.com, Divination, Ellen Whitehurst, Feng shui, Pet, Pie, Religion and Spirituality. Holding together brings success. But high-level teamwork is achieved only when the right players on the right team share a clear goal at the right time. A team forms its relationships in a delicate manner; chemistry is brewed in the vat of shared experiences. Latecomers cannot share the same depth of union as earlier members. Whole-hearted commitment is required for team success. All successful teams have a shared vision and a leader. If a team’s leadership is up to the challenge, the team will prosper. In personal and business affairs, just as in basketball, it is hard to win without a strong center. Accept the structure of the team or partnership if you wish to receive its benefits — otherwise go off on your own. In holding together with others, cling to your own principles, but be willing to subordinate your personal desires for the good of the group. Perhaps you are contemplating becoming a leader of some group; remember that to become the center of influence binding people together is not only a considerable challenge but a serious responsibility. Assess yourself carefully first to see if you are up to the task. If not, it would be better not to commit rather than to go forward without proper preparation. Posted on February 20, 2013 by ladyoftheabyssPosted in Articles, Daily Posts, I ChingTagged Arts and Entertainment, Business, Chi, Education and Training, Leadership, Management, Oppression, Wednesday, Winter solstice. Clean the drains. For this task, you’ll need lemons. To determine how many, just count the drains in your home—be sure to include the toilets and the dishwasher—and divide by two. Cut each lemon in half, squeeze the juice of one portion down each drain and flush well with hot water. This will take care of any nasties living in your pipes.